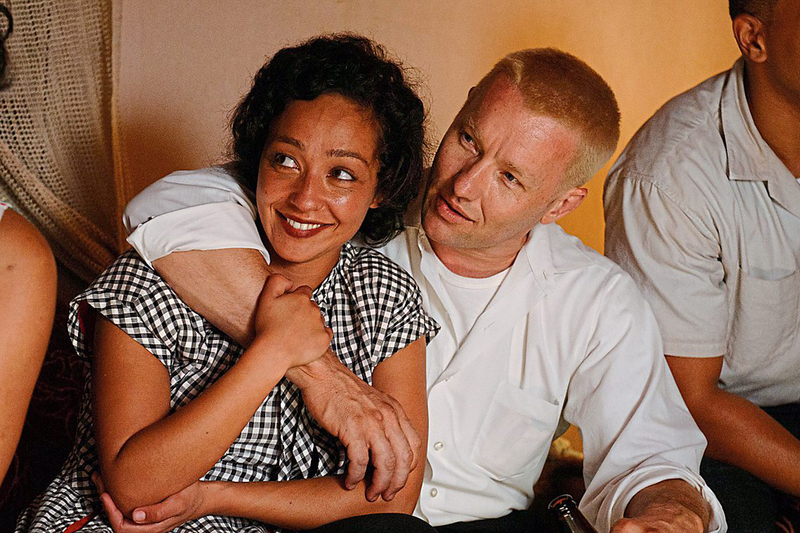 Loving celebrates the real-life courage and commitment of an interracial couple, Richard and Mildred Loving, (portrayed in the film by Joel Edgerton and Ruth Negga), who fell in love and were married in 1958. The couple grew up in Central Point, a small town in Virginia which was more integrated then surrounding areas in the American South. The film opens with the couple in love and preparing to have a baby. But things quickly turn south when Mildred and Richard are both arrested after authorities discover their marriage. At the time, multi racial families could wed in the north, but the south still enforced laws infringing on their rights. Oddly, the film sheds light on the fact that, had this couple not decided to honor their union though God, country and community, local authorities may well have let them slide. The implication is clear, the real issue was the legitimacy of their union and the offspring that would result. The state of Virginia, first jailed and later banished the couple from Virgina, promising to throw them back in prison should they return in the next twenty five years. Richard and Mildred relocated with their children, to the inner city of Washington D.C where they had married earlier. While relatives made them feel welcome, the more urban environment never felt like home. Ultimately the pull of their roots toward Virginia would spur Mildred to try to find a way back. Their civil rights case, Loving vs Virginia, went all the way to the Supreme Court, which in 1967 reaffirmed the very foundation of their right to marry. Richard and Mildred returned home and their love story has become an inspiration to couples ever since. Loving is a quiet dignified film about a simple man who loved his wife and wanted to be free to live with her in peace. It is emotional and beautifully told and shot. Newcomer Ruth Negga, born in Ethiopia and raised in Ireland, whose better known for her work over seas, is breath taking. Joel Edgerton's performance is understated and dignified. Its no wonder the film is receiving early Oscar buzz along with several others contenders with multi racial casts, challenging last year's white washed atmosphere which prompted the #OScarSoWhite. Loving is in theaters in LA and NY currently and will open nationwide this holiday season.